There’s nothing that beats the feeling you get when you come across a beautiful edifice or structures that are so captivating that they simply take your breath away. You’ve most likely heard of the ‘Seven Wonders of the World’ but I’m about to completely wow you with what I’d like to call the ‘Six Wonders of Lagos’ in no particular order. You may have passed by these structures before but never truly appreciated their beauty or better still, you may never have seen them before. Caution: You’re about to blown away completely. Let’s begin! 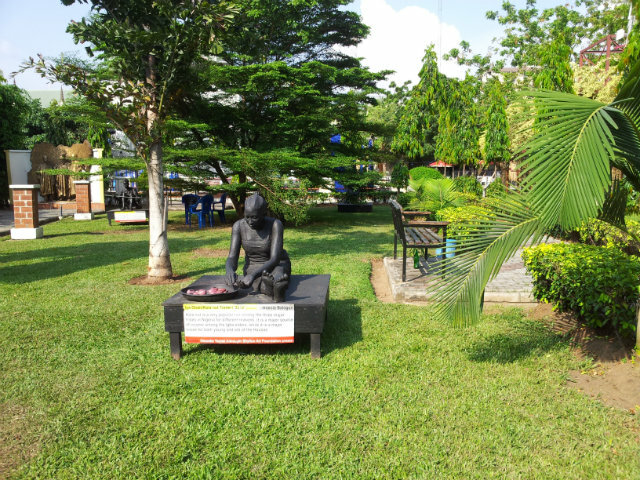 Named after a late Oloye; Madam Efunroye Tinubu, this beautiful square is a breath taking view. Situated at the centre of Balogun market in CMS, Lagos Island, Tinubu square is a work of art that can stop you dead in your tracks and have you gaping for at least a millennium. Located in Badagry, West of Lagos, in a nest of tall coconut trees and beautiful layout of white sand, the sun has never looked so beautiful anywhere else! If you’re a lover of nature and would be interested in a bit of tanning as you fully absorb all the beauty around, take a trip to Coconut Beach! From its artistic exterior to its colourful interior, this amazing structure is every bit as beautiful as it is gigantic. Located on Obafemi Awolowo Way, Ikeja, the Ikeja City Mall is home to outlets of well-known brands and is ideal for you to go shopping and still get to relax. Just remember that it’s okay for you to get down from your car and go ‘wow’ as you let take in the details of this work of art. The Lekki-Ikoyi Bridge is a sight to behold! It’s such a beauty, especially at nights when all the street lights and aesthetic lights come on. It makes you wish the bridge would go on forever, allowing you time to enjoy its shimmering beauty and feel the cool night breeze as you drive through. Born from the ruins of the Broad Street Prisons that once belonged to Her Majesty, the Queen of England, the Freedom Park represents the preservation of the Nigerian history and cultural heritage. This park has really exciting views that will definitely appeal to the archaeologist in you. When next you’re in Lagos, take a trip to Lagos Island along Hospital road where the park is located. You’ll find yourself revelling in the beauty around you and feeling pretty patriotic. Civic centre is located along Ozumba Mbadiwe Avenue in Victoria Island, Lagos. The view on the outside is simply breath taking, a building floating on water! While the view when looking from the inside gives you the feeling of sailing away as though it’s an actual ship. This floating structure is reason enough for you to drive down to Victoria Island when next you visit Lagos. 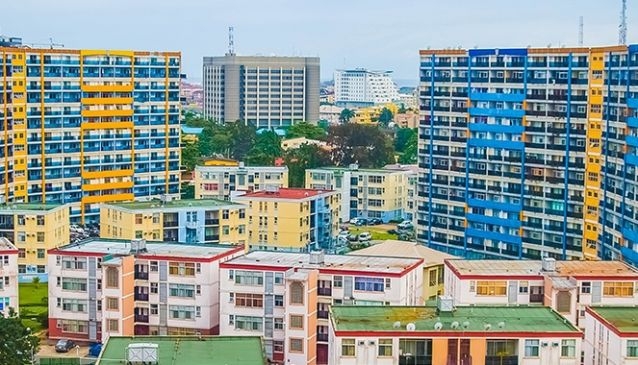 These are a few eye catching views you’d be glad you took the time to see in the beautiful city of Lagos. I hope you find the time to go see them. See you in the next post, with more things to do in Lagos!